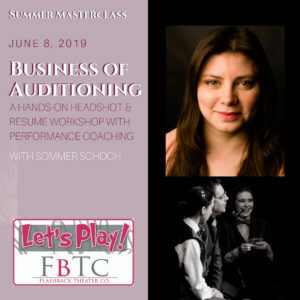 The Business of Auditioning | Flashback Theater Co.
​Prepare your resume and headshot for the audition process with this masterclass led by Director Sommer Schoch and with a special mini headshot session by Casey Lemons. You will learn what a director is really looking for on a resume, tips for the perfect headshot, and how your audition materials should showcase you at your next big audition. Why do directors ask for a headshot? What information belongs on a performance resume? Learn what a headshot is and why it is important, then put your knowledge into practice with a headshot mini-session. 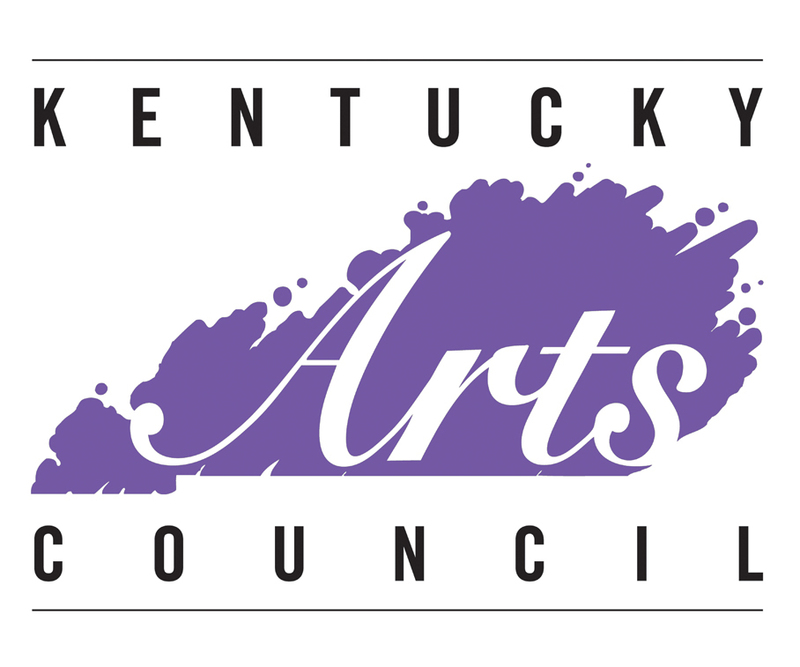 Performance resumes will be reviewed by director Sommer Schoch, and participants are encouraged to bring a laptop or tablet to work on their resume during this time as well. 1:00 p.m. – 2:00 p.m. – Lunch Forum During lunch, we will discuss the process of promoting yourself to get performing work. Included in the discussion will be how to utilize video and social media to establish your identity as an artist. 2:00 p.m. – 3:00 p.m. – Presenting Yourself Professionally at the Audition You have the headshot and resume – next is the audition! Learn how to present yourself going into and leaving the audition room by observing selected students in a mock audition with real time feedback from a stage director. This audition masterclass will prepare you for what to expect in an audition room and will allow select participants to get feedback on their audition behavior. Sommer Schoch is the founder and Producing Artistic Director of Flashback Theater Co. She studied Theatre & Entrepreneurship at Northern Kentucky University before pursuing a dual Master’s degree in Arts Administration and Business Administration at the College-Conservatory of Music in Cincinnati. She has worked in various capacities at several theaters, including: Cincinnati Shakespeare Company, Know Theatre of Cincinnati, and Arena Stage in Washington, D.C.